Offering you a complete choice of products which include kaju sorting machines, pista sorting machines, cashew nut sorting machines and cashew sorting machines. Can be able to sort green as a acceptance and remaining as a rejection. With years of experience and knowledge in this domain, we are engaged in offering an excellent range of Cashew Nut Sorting Machines. 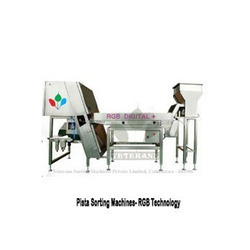 Provided sorting machine is manufactured at state-of-art production unit using quality proven components and modern technology. 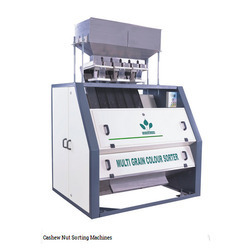 Gives maximum accuracy in cashew nut sorting, we offer this sorting machine after testing it on various quality measures. 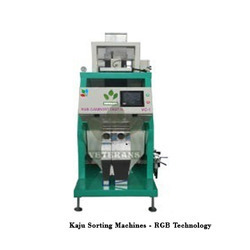 Available in different designs and specifications, this sorting machine is offered at market leading prices. Can be able to sort Cashew pieces like grades Baby bits-BB, Scorched small pieces-SSP, Small White pieces-SWP, Scorched pieces Second- SPS, Scorched Buts-SB, Scorched Pieces-SP, Large White Pieces-LWP, Butts-B. Can be able to sort Cashew pieces like grades Baby bits-BB, Scorched small pieces-SSP, Small White pieces-SWP, Sorched pieces Second- SPS, Scorched Buts-SB, Scorched Pieces-SP, Large White Pieces-LWP, Butts-B.